THE BALL THAT CHANGED THE BALL – NOW WITH TRIPLE TRACK TECHNOLOGY! 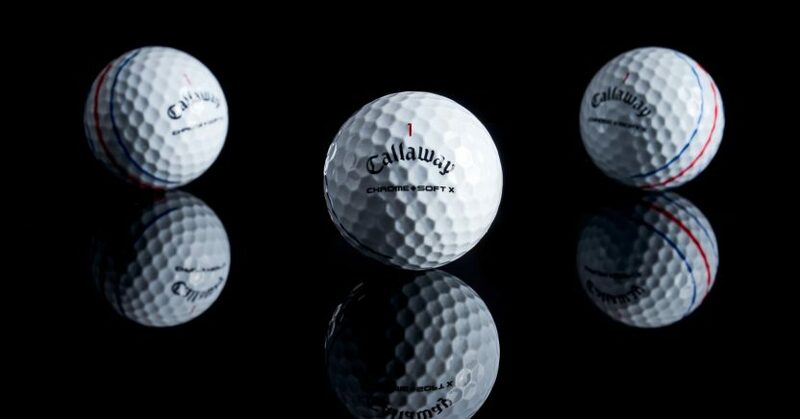 Callaway today announced the launch of the new Chrome Soft X Golf Ball featuring Triple Track Technology. This ball with the unique advanced alignment lines was debuted on Tour by staff professional Phil Mickelson earlier this year and helped him to win the 2019 A&T Pebble Beach Pro-Am. As a result golfers will experience a very fast and soft-feeling ball with high launch and low spin off the driver for long distance, more workability from tee-to-green, and incredible shot-stopping spin with increased control from irons and wedges.That’s why many of the world’s best players including Phil Mickelson, Francesco Molinari and Xander Schauffele are using it to win on Tour. 1. Advanced alignment from Triple Track Technology – Callaway has prominently featured Triple Track lines on the ball for better alignment and accuracy. Triple Track uses Vernier Hyper Acuity to improve alignment compared to a regular side stamp alignment aid. 2. Fast ball speeds and low spin off the driver – Graphene-infused Dual Soft Fast Core with a new, larger inner core maximises compression energy while minimising driver-spin and promoting high launch for long distance. 3. Distance and control through the bag – Premium dual-core construction promotes more distance off longer clubs, and more control off mid-irons, short-irons and wedges. 4. Pinpoint greenside control – Thin, ultra-soft Tour Urethane cover feels fantastic and generates shot-controlling, stroke-saving spin on pitches and chips. 5. Ultra-soft feel – The fast SubMantle, soft Tour Urethane Cover, and low compression core combine for unparalleled feel. 6. Forgiveness – Softer golf balls compress easier on off-centre hits for incredible distance all over the face.